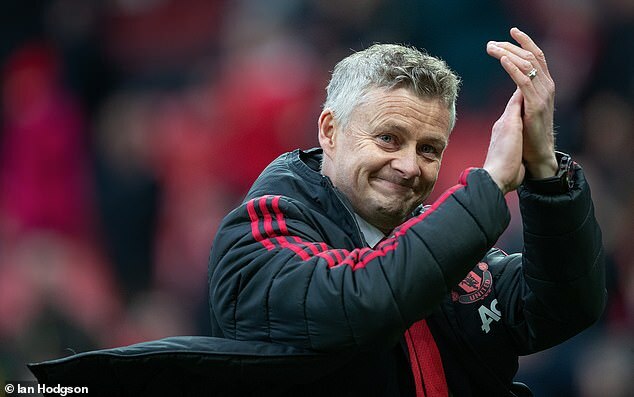 There will be no room for nostalgia when Ole Gunnar Solskjaer goes back to the Nou Camp for Tuesday’s Champions League quarter-final meeting with Barcelona. No point in dwelling on the 1999 final and his winner against Bayern Munich aside from the inevitable questions that will accompany his return to the scene of Manchester United’s greatest triumph. No reason for Solskjaer to talk to his players about the club’s historic Treble achievement. ‘No, I won’t because it was against Bayern Munich, it was a final and it was different,’ he said. ‘We will use the Paris Saint-Germain match and Juventus away. We have beaten some good teams away from home this year and played against some great players. Solskjaer has a point. Far better to focus on his team’s victories in Paris and Turin this season as they attempt to overturn a 1-0 deficit against Barca than make comparisons with Sir Alex Ferguson’s men. United went to the Nou Camp 20 years ago having just clinched the Premier League title and lifted the FA Cup. 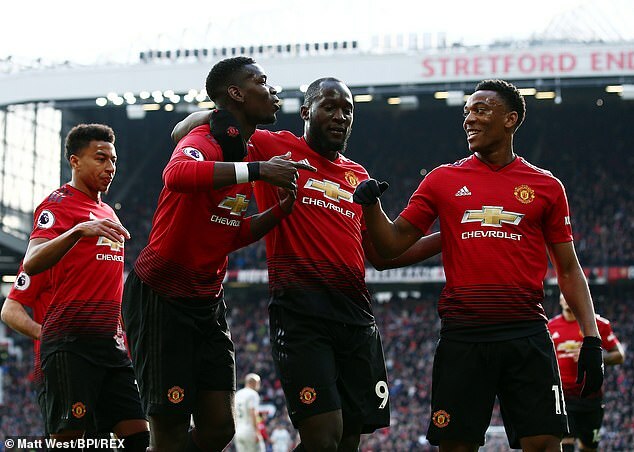 Solskjaer’s side fly to Spain on Monday facing elimination from Europe, are out of the FA Cup and locked in a battle to finish in third or fourth after winning two of their last six games in all competitions. Even then, there was a strong element of good fortune about the victories over Watford and this one against West Ham. 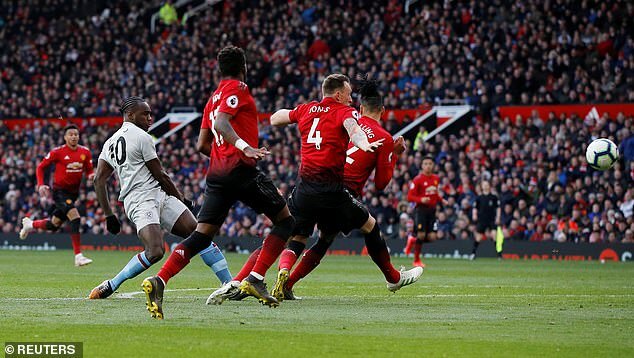 United benefited from a poor offside decision that chalked off an early effort from Felipe Anderson and a dodgy penalty converted by Paul Pogba after Robert Snodgrass challenged Juan Mata. 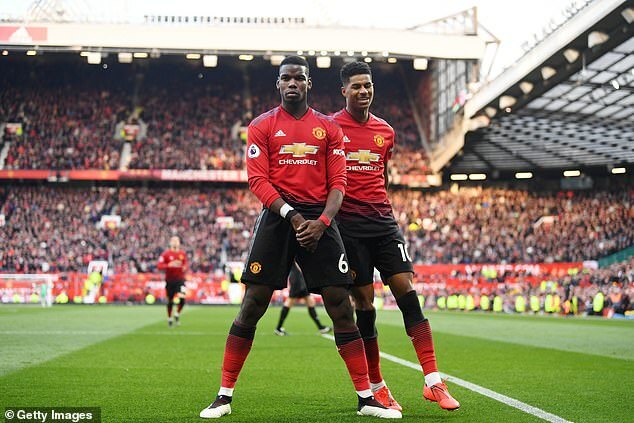 Pogba scored from the spot again in the 80th minute but only after Anderson had equalised and substitute Michail Antonio hit the bar, then forced a fabulous save from David de Gea. Solskjaer had the good grace to admit United were second best, but it does not augur well for the Barcelona second leg. 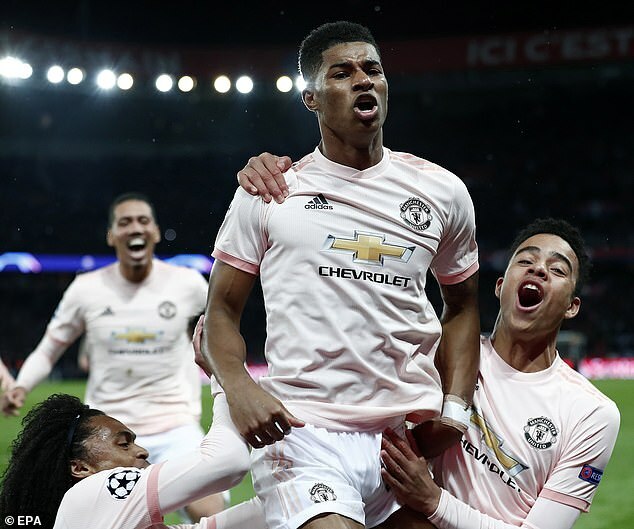 While the runaway Spanish league leaders could afford to rest Lionel Messi and be without another five regulars for their goalless draw against Huesca, Solskjaer’s rotation was limited to keeping Scott McTominay and Victor Lindelof on the bench and Marcus Rashford sitting alongside them for 55 minutes. Nemanja Matic will travel with the squad after missing the last three games through illness but Solskjaer didn’t see anything here to change his Nou Camp gameplan. ‘It doesn’t really give me too many headaches,’ he said. ‘I rested a few to be ready for Tuesday, but we have a decent plan. I hope it’s decent. It’s a plan anyway. Manuel Pellegrini has enough experience of Spanish football from his time as coach of Real Madrid, Malaga and Villarreal to know how big a task United face. Barcelona have not lost at home in Europe in the six years since he moved to the Premier League.